The farm of Bence Máté is situated just outside the town of Pusztaszer. 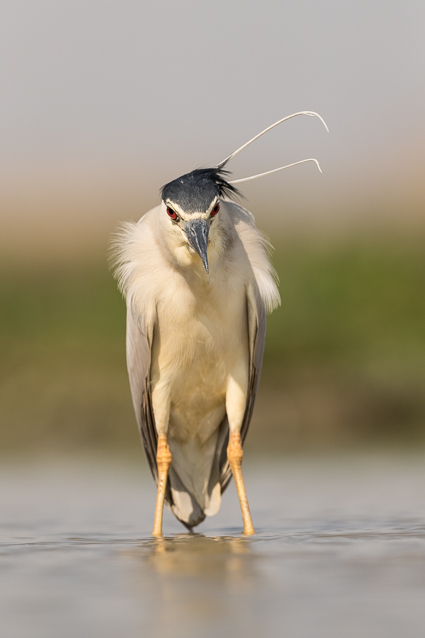 In this area, Bence has developed an incredible concept with about 18 different hides and the opportunity to photograph a huge variety of unique bird species like hoopoes, rollers, bee-eaters, herons, passerines, songbirds and a lot more. A week of high expectations laid ahead - and they were fully redeemed! I decided to go by car to Hungary - a 1,500 km long drive each way. Flight connections from Copenhagen to Budapest are bad and it was nice to be able to pack all my photo gear without thinking about cabin luggage weight restrictions. However, it was a long journey and many days of travelling. After two days drive through Germany, Czech Republic and Slovakia, I reached the farm of Bence Máté in Hungary on Saturday 17th June at 2 o'clock in the afternoon. All other participants had arrived and Brutus greeted me welcome and announced that I had to start in the "Cinema" hide - immediately! Fifteen minutes later I sat in a pleasant armchair ready to photograph through the special glass window. The construction enables you to photograph without disturbing the birds as they cannot see through the glass. Also, You could mount two cameras on a special suspension allowing for the use of different focal length to cover the various activities going on outside. 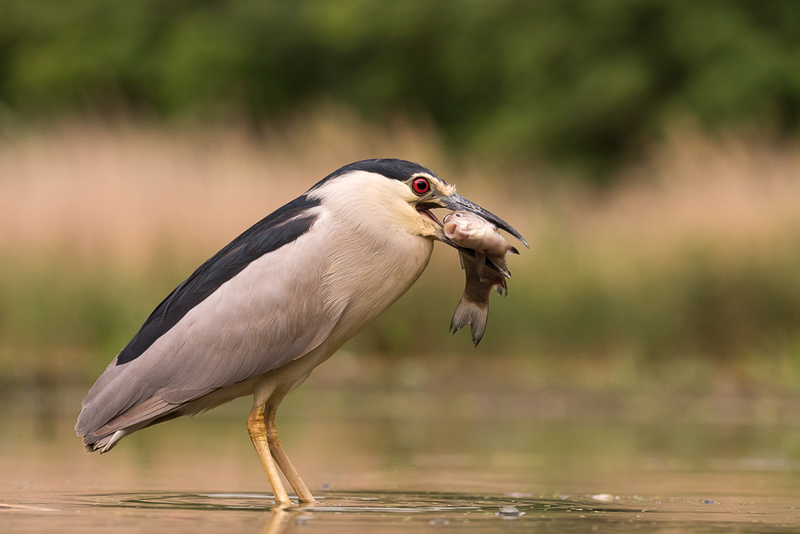 Outside this fantastic hide made for three photographers there was water at eye level allowing for a low perspective when taking pictures of the night herons, grey herons, great white egrets and squacco herons catching fish just in front of you. 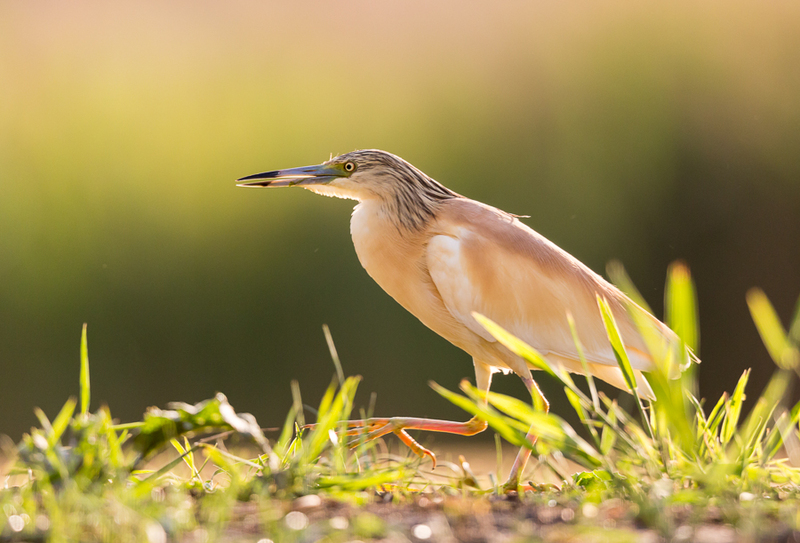 The squacco heron was difficult to photograph as it was hiding most of the time. After seven hours in the hide it started getting too dark for photography. 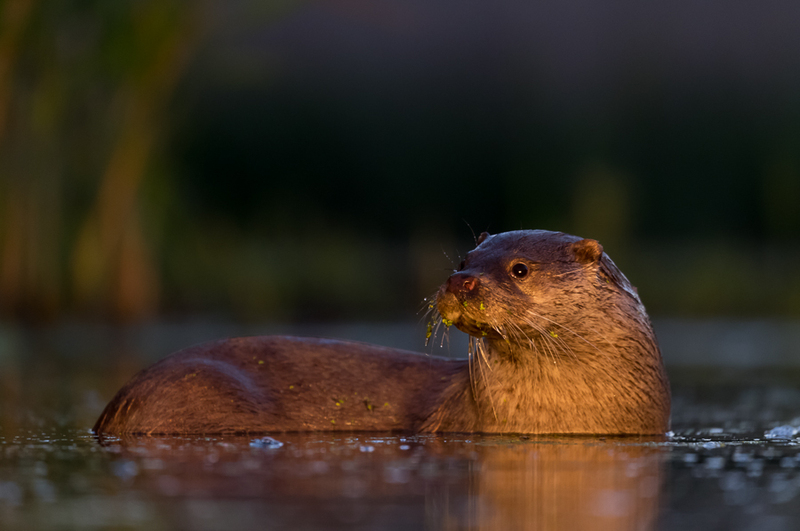 Then, two otters suddenly turned up for a few minutes and with a little help from some spotlights being operated from the inside of the hide, I managed to get a decent image (below). We left the hide and walked back to the farm to get a well-deserved late evening meal at the terrace. Sunrise at 4:45, so we had to get up early to take advantage of the soft morning light. Our guides Kokó and Csaba had planned the hide rotation between the eight participants the evening before. I had to start the morning at the Roller Tower with Ivo Niermann from Germany. Ivo and I were a "team" and would spend about 50 hours together in various hides during the week. Fortunately, Ivo turned out to be a nice guy and a great company. Brutus joined us for the morning session and we left the farm at 5 o'clock. Some had to leave as early as 3:30 for the "Theatre". Very soon you realised that sleep would be of short supply during the week! The Roller Tower was not as comfortably as the Cinema. It was a wooden shed build high up in a tree and we sat on a hard bench. 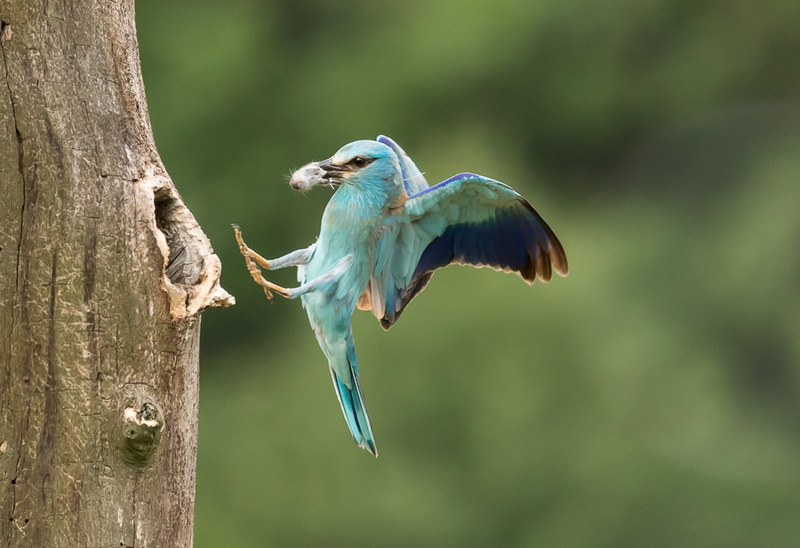 However, the view was perfect as a roller family lived in a tree just in front of the hide. 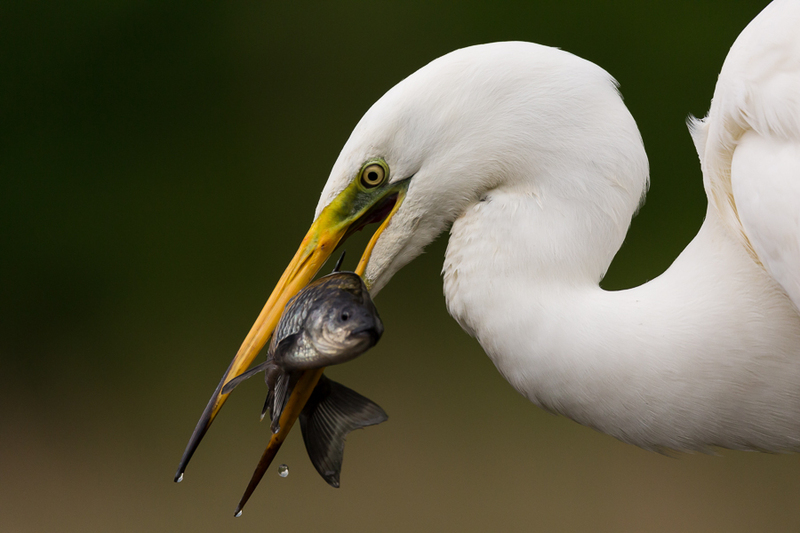 Thus, the parents constantly flew in to feed their young's allowing for some great photo opportunities. By noon we were picked up by the guide Csaba in an old yellow Lada from 1979 and returned to the farm after many hours of concentrated roller photography. 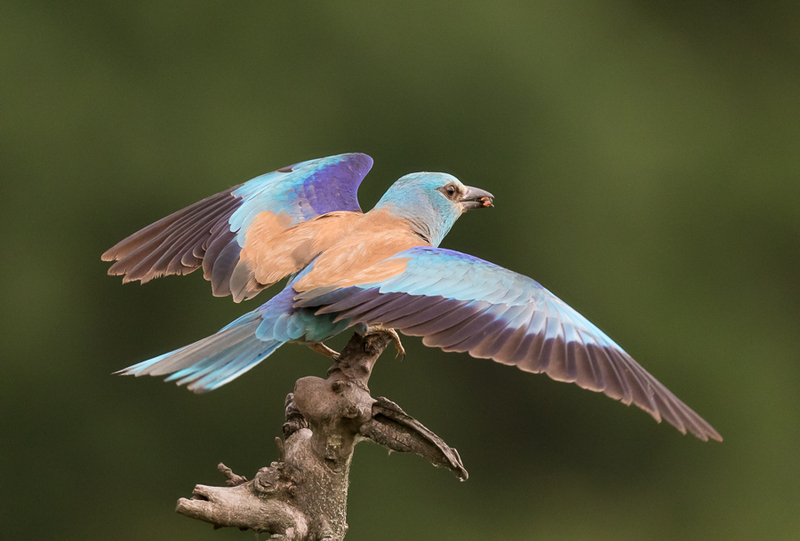 I became obsessed by these colourful birds and the challenge to take flight images before they enter their nest. Therefore, I returned to the Roller Tower several times during the week. 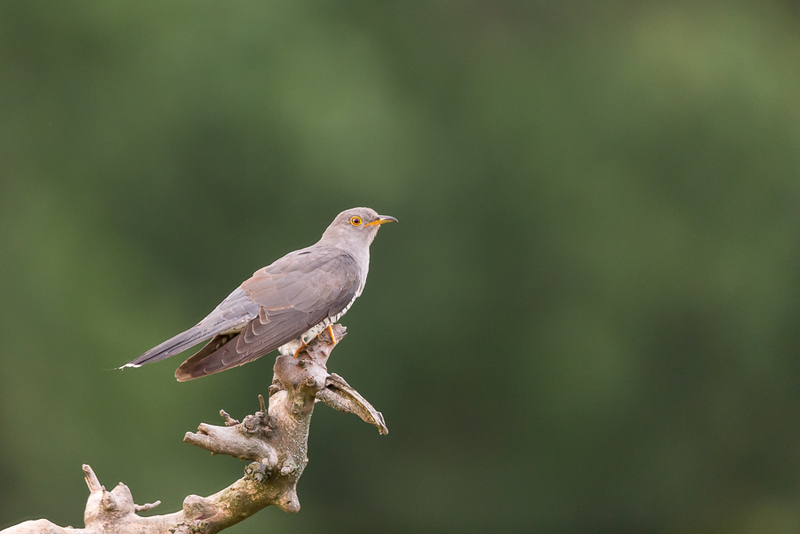 At one visit, I even managed to get an image of a cuckoo for the first time ever when it landed on one of the branches in front of the roller's nest. Back at the farm we had some lunch followed by image upload and backup routines. Not much time to relax as Ivo and I had to go to the "Theatre" at 4 o'clock. After a short drive we arrived at a lake. Well hidden among the vegetation we found a nice little wooden house with a kitchen, bedroom and even a bathroom. 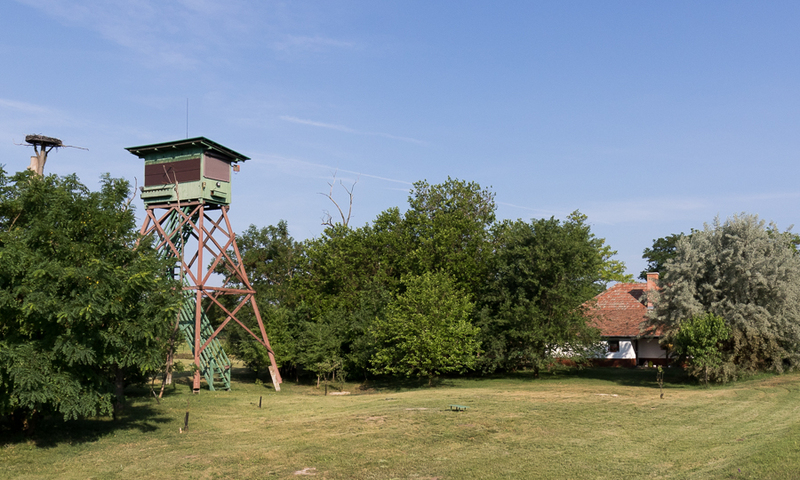 We were told that Bence Máté had lived in the "hide" for a whole month during a winter. From inside the house a 12-metre long underground corridor led to a room by the lake with three nice armchairs and the same kind of devices for the cameras as in the Cinema hide. In this hide you can choose whether to photograph backlit or front lit. Two huge glass panes are installed on each side of the room. 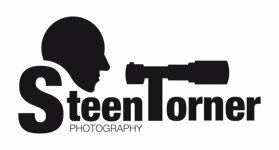 Due to several accidents where photographers have smashed the expensive glass in their eagerness to change positions between the two windows, it has now been decided to allow for one direction at the time only. This afternoon we chose to photograph using front light. The variety of birds in front of the hide was very much the same as with the Cinema although the area outside is much wider. 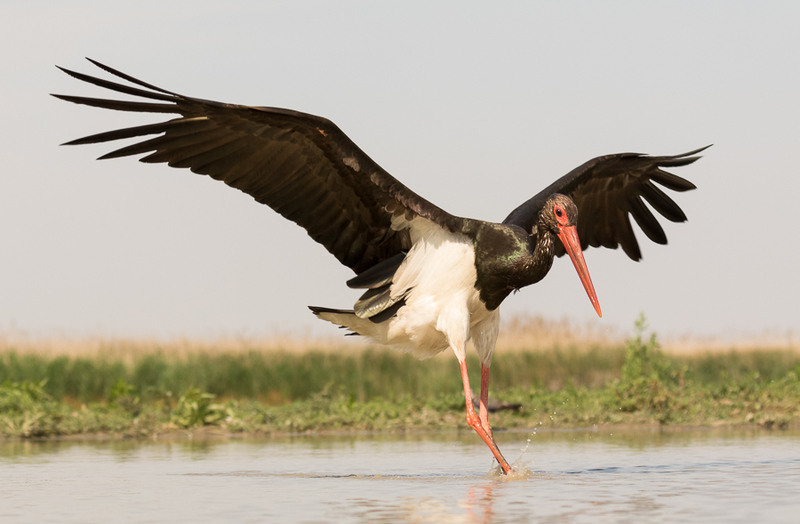 A few days later Ivo and I returned to the Theatre for a morning session and also had the opportunity to photograph some black storks and a spoonbill. 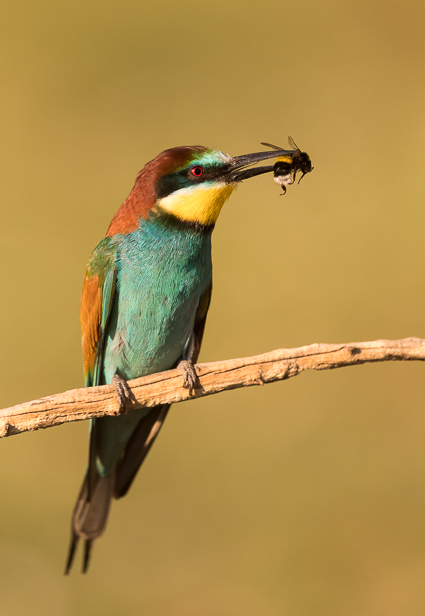 My favourite subject before going to Hungary was the colourful bee-eater. 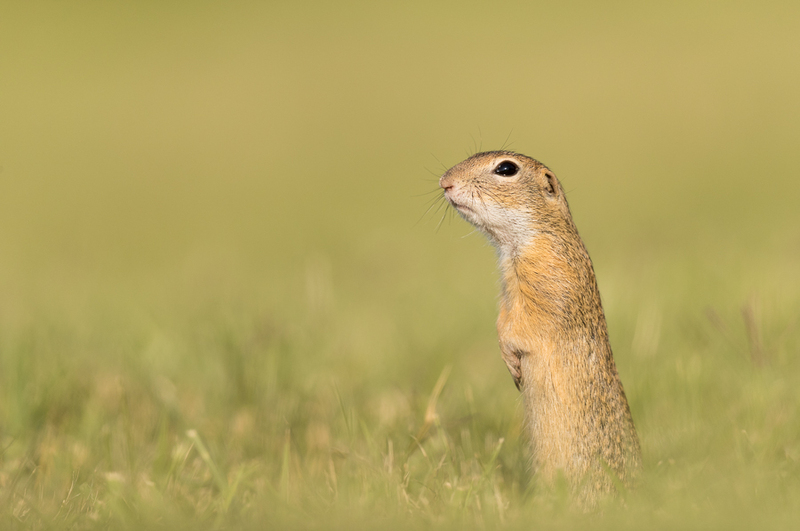 For several years they have lived just outside the farm of Bence Máté but due to the arrival of ground squirrels they are no longer there. Therefore, Bence has found a new spot with bee-eaters some 30 minutes' drive from the farm and I had the fortune to go there twice. 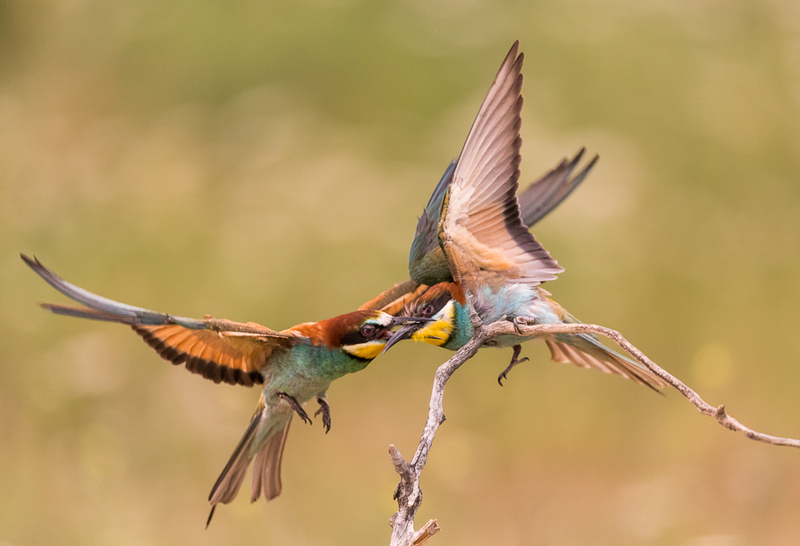 Obviously, I took some classic shots of bee-eaters with their preferred diet - bees of course! I had hoped for some good mating images but the four incidents I witnessed were all facing away from me. The most interesting image came unexpected. 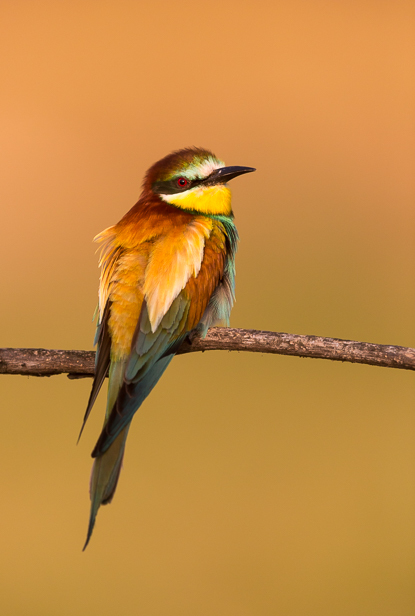 A sole bee-eater sat on a branch cleaning its feathers. 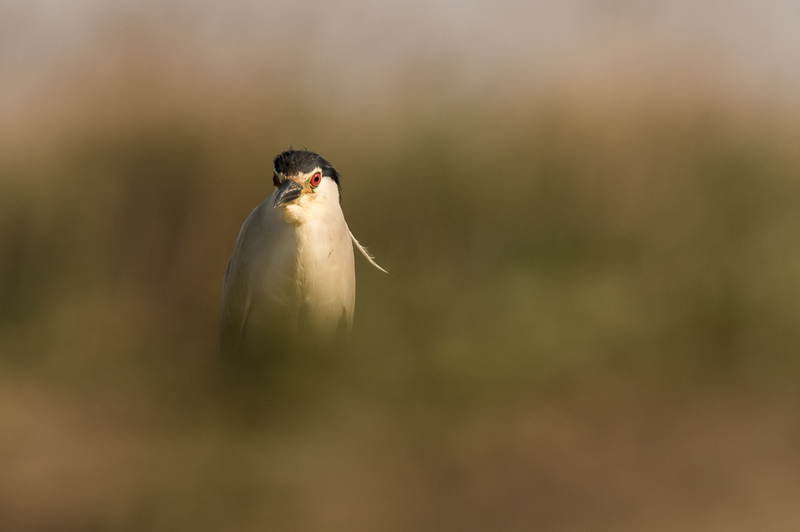 As there was no other activity going on, I pointed my 500mm lens against the bird to pass the time. Just as I had the sole bee-eater in focus another bird came flying in high speed and made an attack. Immediately, I hold down the trigger and with the camera taking 14 images per second, I managed to photograph the dramatic assault. One of the other hides we used was in front of a hoopoes nest. Unfortunately, the eggs had not yet hatched so the activity was sparse. 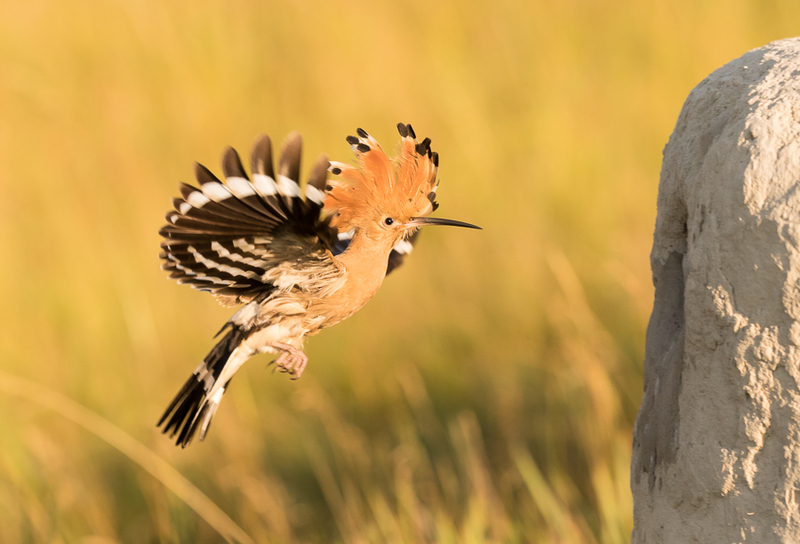 Only once every hour the male hoopoe came to feed the female, so we had to be alert. 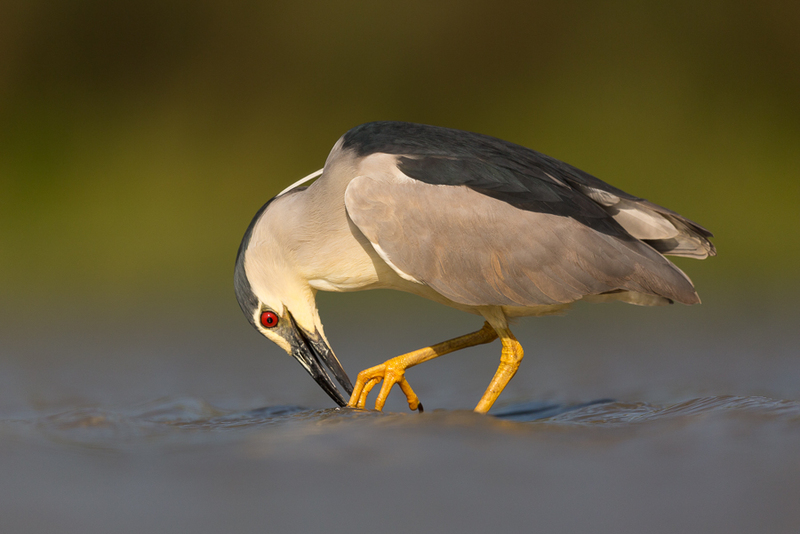 Only a few chances were given to photograph this beautiful bird. 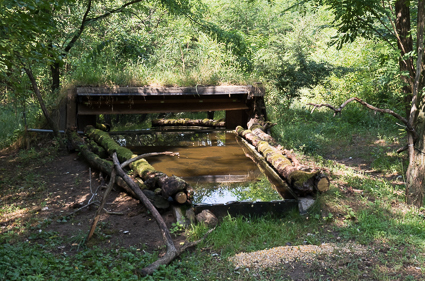 Also, we spend some time in a hide established as a drinking station in the wood. 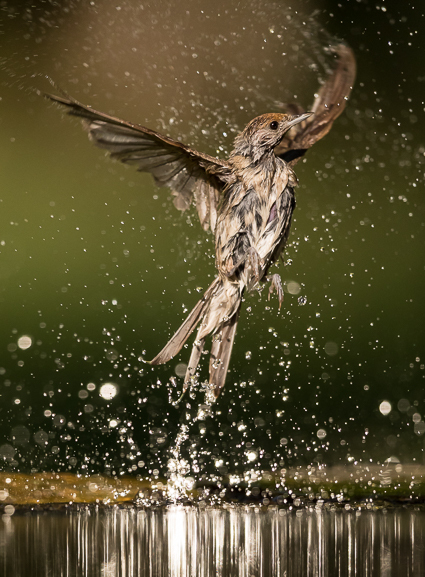 A lot of small birds came by to drink and get a bath. A unique feature with this place was a mirror placed on a tree. 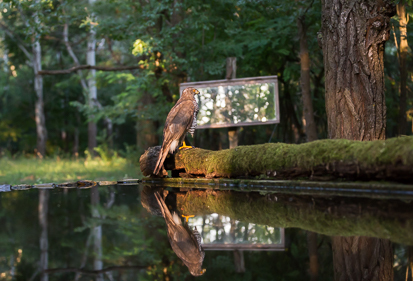 By using a cord system inside the hide, it was possible to manoeuvre the mirror getting the reflection of the sun to create back light when at the same time we had the normal light coming from the front. It made extraordinary lighting effects on the water splashes. 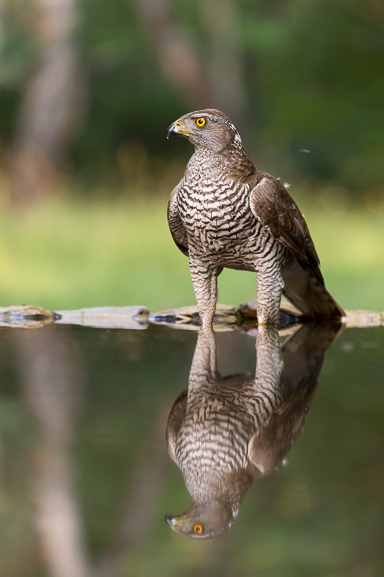 Just before pick up by our guide Kokó a goshawk came by. Incredible to have a bird of prey sitting a few metres in front of you. The mirror created a special lighting effect (left image). The Goshawk to the right stayed for a long time. It is beyond comparison the most amazing and productive photo workshop, I have ever experienced. My fellow participants were great and as always, I very much enjoyed the company of Brutus. He readily shares his huge knowledge and it is a privilege to see the passionate sparkle in his eyes when telling about his many adventures with his camera. Furthermore, the concept created by Bence Máté is fantastic. 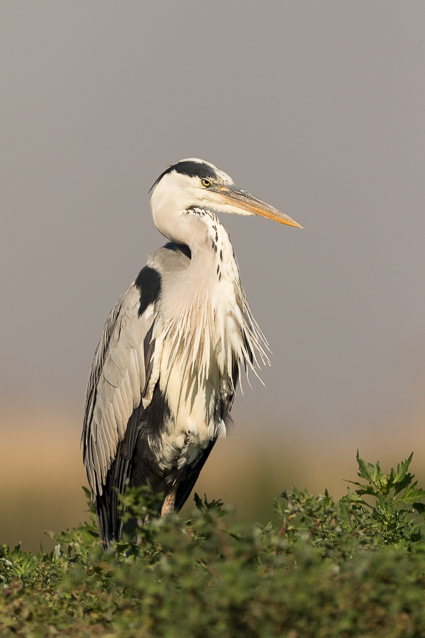 There are a huge diversity of bird species and the photo opportunities using the well-constructed hides are amazing. The staff at the farm are knowledgeable and very friendly doing their utmost to make our stay a success. Also, it was a nice bonus to meet Bence, who is probably the best bird photographer in the world today. Before travelling to Hungary, I was a bit sceptic about photographing through the glass windows in the hides. However, it worked well and there are no visible effects on the image quality. 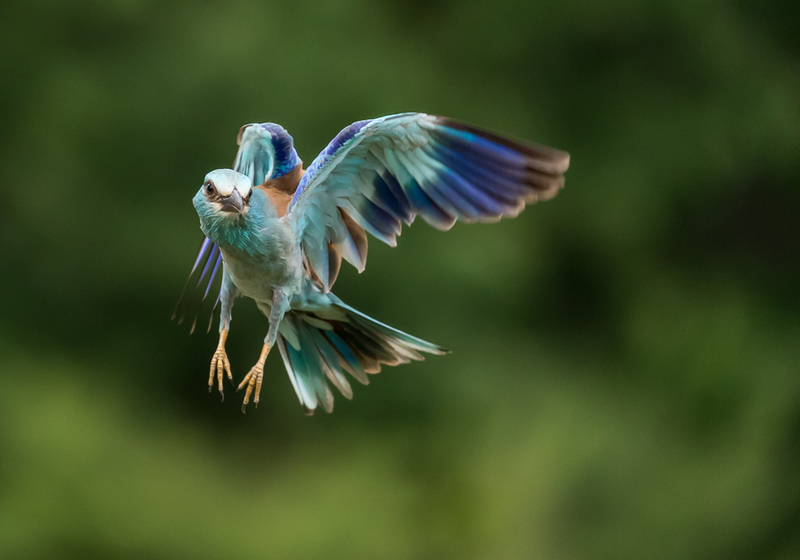 It was a fantastic week at the farm of Bence Máté and I will definitely return to this wildlife photographers dream - but next time I will take a flight!